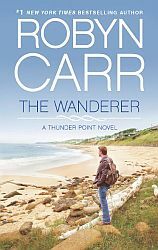 Although I am not a huge fan of romances, I actually found The Wanderer byRobyn Carr quite engaging. Really, my experiences with romance books consists mainly of Nora Roberts, and over the years I have come to enjoy the mystery and life stories that she uses to showcase her romances. I found this same situation inThe Wanderer. Hank "Coop" Cooper takes a trip to Thunder Point, Oregon, which is on the Oregon Coast, ostensibly to get some closure on the death of his best friend, Ben. Ben is a long time resident of Thunder Point and ran a bait shop, food store, bar combo. Once Coop arrives in Thunder Point, he begins to get involved in the lives of the inhabitants of this small town and......well, you can probably guess where the story goes from there. There were a lot of things I really liked about this story. I liked the non-romantic relationships that developed between some of the characters. The relationship between Coop and Landon was extremely well done and allowed the author to make some statements about bullying, a problem which is all to pervasive in our schools today. In addition, I really liked the unconventional family situations that she included in the book. I thought she especially did a good job with the both Mac's family dynamics, and Gina's. I did find it interesting, though, that none of the families in this books seemed to be two parent conventional kind. If there was anyone in Thunder Point who was happily married and raising a family, they were not evident in this book. Another thing that I really liked about this book, and this is something that is just a "me" type of thing, was the fact that the book took place on the coast of Oregon. I have travelled extensively on the coast of Oregon and been to many of the peripheral places mentioned in the book. As such, I felt that the author did an excellent job of highlighting, not only the feeling of a small town, but the feeling of the Oregon Coast as a whole. Even the straight out romance parts of this book were well done. I found myself alternately rooting for the characters, and wanting to slap them upside the head for being stupid. Of course, that's not to say that it wasn't a bit formulaic, but then, that type of formula is why we read romance novels, right? I mean, you know the characters are going to fall in love, have doubts, dance around their relationship, and ultimately succumb. That is the formula that allows us to really feel for them. 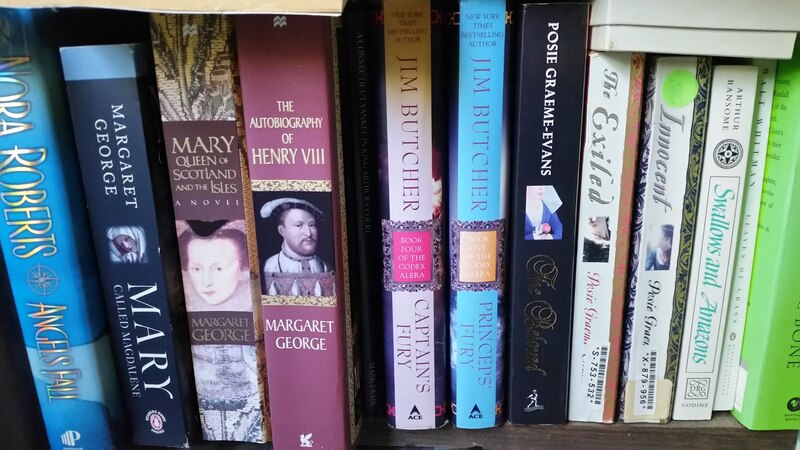 As a result, I have decided that Robyn Carris definitely on the list of potential guilty pleasures, and as such, I have already decided to read her other romance series, both the Grace Valley series and the Virgin River series. Thumbs up to Ms. Carr for a job well done. I would like to thank both Netgalley, and the publisher for the chance to read this book in return for an honest review.